The beauty and life of the worldâ€™s oceans will be celebrated June 8 on World Oceans Day. The annual event by the United Nations calls people to action around the planet to protect our oceans and the amazing life that lives in them. This yearâ€™s theme is â€œHealthy oceans, healthy planetâ€ with a special focus on eradicating plastic pollution. Here in our corner of the world in southern Costa Rica, we at Playa Nicuesa Rainforest Lodge honor and protect the beautiful calm gulf of Golfo Dulce where we are located. We recently received the Ecological Blue Flag Award for the fifth time for keeping one of the cleanest beaches in Costa Rica. Golfo Dulce is one of the most pristine ocean habitats in Costa Rica. Its calm and very clear jade green-blue water makes it easy to see abundant marine life. On the inside of the Osa Peninsula, the gulf is approximately 50 km (31 miles) long and 10-15 km (6 -9 miles) wide with a steeply sloped deep inner basin at a maximum depth of 215 m (705 ft.), and a shallow outer basin with a depth of less than 70 m (230 ft.). This inner sea is a critical habitat for endangered southern Pacific humpback whales, which migrate here every August to October to breed and give birth to their young. 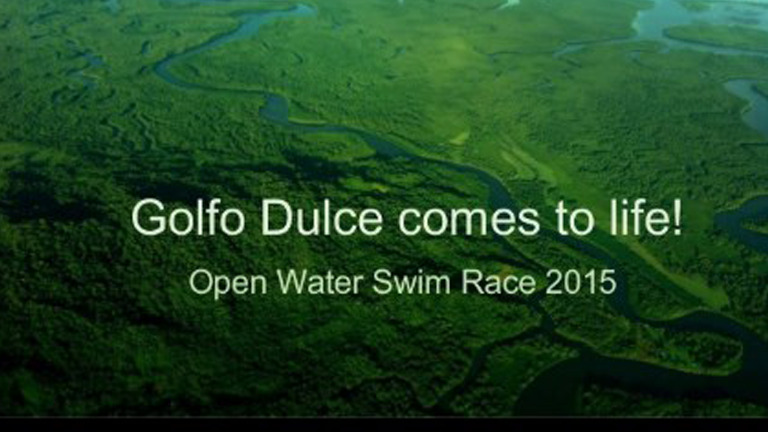 According to the Center for Cetacean Research of Costa Rica (CEIC), Golfo Dulce is vital to the species" survival. The CEIC and other environmental organizations are lobbying for the creation of a Marine Protected Area within Golfo Dulce to safeguard the unique ecosystem. In addition to whales, Golfo Dulce is an important home for dolphins â€" Bottlenose Dolphins, Spotted Dolphins, Spinner Dolphins, and occasionally-seen False Killer Whales â€" and for sharks. See amazing marine life in person at the Golfo Dulce in Costa Rica. Playa Nicuesa Rainforest Lodge, set in the rainforest on a remote beach of the Golfo Dulce, offers boat tours in Golfo Dulce to see marine life and during whale-watching season. You also frequently can see beautiful bioluminescence in the gulf on clear nights.